Best gifts for yourself, your lover or friend,it's time to chance you collections! Every handsome gentleman needs a pair of oxford shoes to highlight your elegance. 1. Show your elegance with these collecttion classic shoes. 2. Easy to wear on and off, save your time and you can enjoy your sleeping. 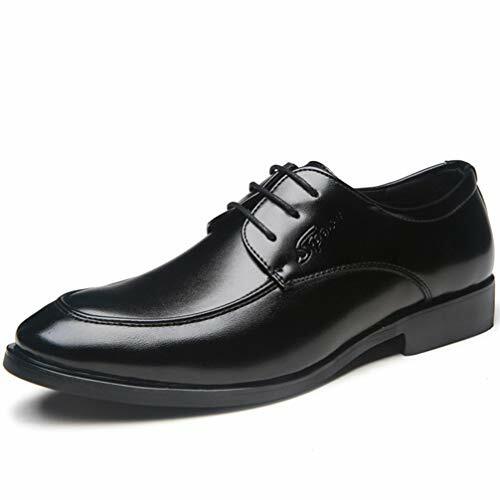 3. oxford shoes are the prefected choice for men with wide feet. 4.Fit on: tuxedo and also a slim fit chinos or khakis will be great, or a casual jean.Highly recommend for the price, and of course durable because time will tell you.Do not believe? Try it now. Please choose correct size according to your own actually foot length,a pair of well-fitting shoes is most important to your feet. ADDING TO SHOPPING CART, as long as 7-15 days , it will belongs to you. ANTI-SLIP AND WEARPROOF:Cushioned footbed,anti-slip and durable. EASY AND CONVENIENT:Ultra soft and elastic,slip-on design allows for quick and easy on and off. BREATHABLE AND DURABLE:Soft and lightweight,perfect for everyday wear as well as driving and working. PERFECT MODELING:Wear on these Oxford shoes,owning a elegant figure and fucal point in sunnmer!